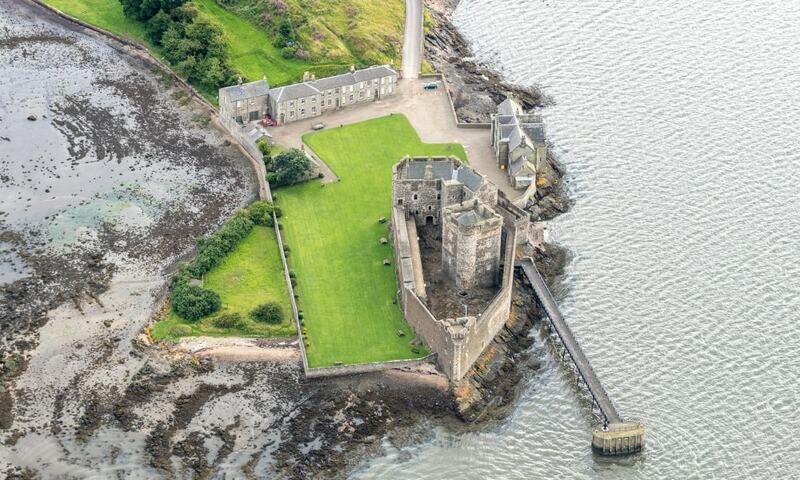 Blackness Castle is a 15th-century fortress, on the south shore of the Firth of Forth. It was built, probably on the site of an earlier fort, by Sir George Crichton in the 1440s. The castle, together with the Crichton lands, passed to James II of Scotland in 1453, and the castle has been crown property ever since. Strengthened in the mid-16th century, the castle became one of the most advanced artillery fortifications of its time in Scotland.